Chronic, complex diseases require a team approach. The size of these teams is growing, as is the types of people involved in them. Internists must be key players to provide high-value, cost-conscious care. As a nephrologist, I've worked as part of a team of clinicians for more than 30 years. Care of patients with end-stage renal disease (ESRD) was launched as a team effort in the 1970s, with nurses, social workers, dietitians, physicians, psychiatrists and surgeons. Back then, we recognized that chronic complex disease needed a comprehensive, continuous, coordinated approach with input from multiple health care professionals. This remains the model for managing dialysis patients in most countries. Indeed, the reimbursement system and requirements for care documentation for ESRD in the U.S. reflect this reality, with capitation payments and regular evaluations by all members of the team. Today, medical teams are prominent in a variety of inpatient and outpatient settings and some settings that bridge both: intensive care, acute cardiac care, organ transplantation, cancer care, geriatric programs and of course the patient-centered medical home (PCMH), to name a few. Team membership and roles are evolving. Most medical teams are made up of one or more internal medicine specialists or subspecialists, physician assistants, nurses, advanced practice nurses and other health professionals providing nutrition, physical activity, education, public health and social support services. The latest additions are patients and caregivers, whose input has become increasingly important for chronic care management. Groups that function together as teams can be good for those providing care. Allocating tasks and responsibilities to each member according to his or her knowledge, skill set and work schedule allows establishment of a flexible yet coordinated structure where adequate personnel are available in a variety of settings and times. This has the potential to help with transitions of care, a critically important place to reduce errors; the shrinking physician and trainee workforce; shorter work hours; and increased time and effort devoted to documentation. Physician satisfaction may also increase when the workload is shared with a group of patient-centered professionals. Whether teams can produce desired outcomes and contain costs are unanswered questions. Programs participating in CMS’ ESRD program do well documenting and meeting urea clearance and anemia management performance measures, but so far have not addressed other important outcomes such as hospitalization rates. Cost control is being attempted using bundled payments, and information is being collected about the impact on practice patterns and patient outcomes. The PCMH model has had modest success in reducing hospitalizations. But to contain costs, both teams and individual physicians will need to focus more effort on reducing overuse and misuse of ineffective diagnostic tests and treatments and design more efficient and effective systems of care. When functioning well, teams are accepted by patients and can improve the care experience. Patients with ESRD and those receiving cancer treatments rapidly learn whom to contact, rely on and engage with among the team members to get their needs met. The challenge for the PCMH is to provide a similarly responsive approach for those with multiple chronic and complex diseases and have services available daily. A greater challenge is to develop more functional teams for in-hospital care. 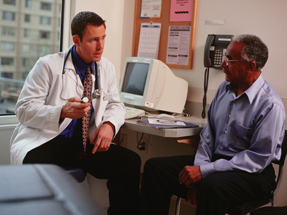 Despite the opportunities to corral needed expertise for efficient treatment during an inpatient stay, frequent turnover among a large number of clinicians and less than ideal communication among all participants make it hard for patients to know who is in charge, who is available to talk with them and their families and who cares about them as people. Other challenges to the team model include having appropriate payment systems that recognize the value of care coordination in addition to episodic care; providing adequate training during graduate and postgraduate education to prepare physicians to participate in a variety of health care teams; and outlining better definitions of professional responsibility and accountability. As teams replace individual doctors providing services, we must develop an ethic of shared responsibility and collective concern for patients. We must also recognize the importance of patients as team participants. Patients now check their own medical records and laboratory reports, Google their diagnoses and potential treatments and want to have meaningful discussions with their physicians and participate in decision making. To obtain good outcomes and reduce overuse and misuse as we provide high-value cost-conscious care, we need patients as full partners, although we will need to educate them to do so. Internists must be key members of health care teams as leaders or participants. We bring knowledge and skills not only as clinicians but also as educators, evaluators and innovators who will be much needed in order to make the promise of quality patient-centered care a reality. And we must provide leadership for ensuring that fiduciary and ethical obligations continue no matter how the models of care change. Will teams be successful in improving health care quality, delivery and satisfaction, and producing affordable and sustainable systems? That is up to all of us. For teams to achieve their goals, all members must take responsibility and work together. Providing affordable, available, accessible, high-value, cost-conscious health care for all is the most important game of our time. I trust you will join me and the College in playing to win.